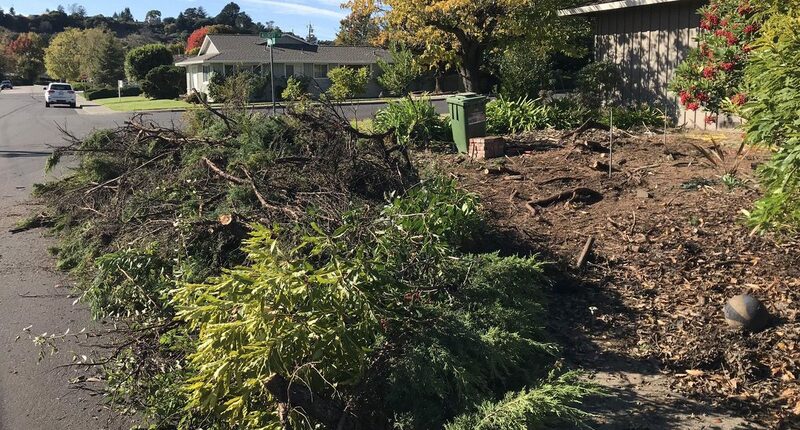 The City of San Rafael is excited to welcome an AmeriCorps team to San Rafael this Spring to support wildfire mitigation projects for private homeowners as well as in the public open space. After a competitive process, the City of San Rafael was approved to host a team for 10 weeks, from April through July 2019. The AmeriCorps team will help homeowners achieve defensible space on their property at no cost, helping to mitigate wildfire risk on their property and their neighborhood. These efforts will go a long way to make San Rafael more resilient and fire safe. Interested property owners may complete an interest form on the City’s website at: www.cityofsanrafael.org/wildfire-prevention-assistance. The Fire Department will prioritize interested parties based on risk and needs. Residents with lower incomes and/or disabilities and seniors will be prioritized first. Residents may also nominate friends, family, and neighbors. Follow-up information will be sent to interested parties in late April. The City’s Fire Department is working on innovative and compassionate responses to the growing wildfire threat in our community. The City Council recently adopted a framework for addressing this threat with a Wildfire Prevention and Protection Action Plan. The AmeriCorps team’s effort is an opportunity to help achieve equitable wildfire mitigation as it will support those not able to remove highly flammable fuels, physically or financially, from their property. AmeriCorps NCCC is a full-time, national service program, in which 2,800 young adults serve across the country each year. During the 10-month team-based program, members work a variety of projects to address critical needs. They work on a variety of different 6 to 12 week-long projects related to natural and other disasters, infrastructure improvement, environmental stewardship and conservation, and urban and rural development. Additional information about the various AmeriCorps programs is available at: www.nationalservice.gov/. For questions about this program, please call the San Rafael Fire Department at (415) 485-3304 or email oes@cityofsanrafael.org.